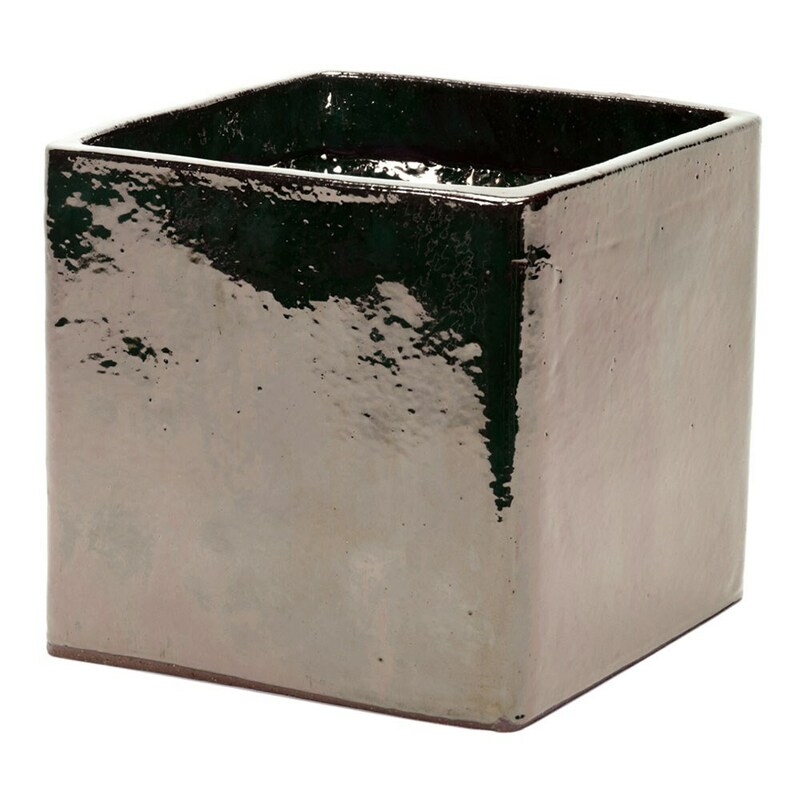 Chunky terracotta cube planter finished with a contemporary mirror glaze. These stunning planters gleam in sunlight to really set off statement displays. Supplied with drainage hole. To clean, simply wipe down with a cloth and soapy water. Guaranteed against frost damage for 10 years.